We are both excited about our commitment to service and humbled by your continued support. Without you and your support we would not be sustaining the continued growth we have experienced over the last two years. Thank you for all you do to make our Y the very best it can be. Allow us also to remind you of our 20/20 Discount Program. If you refer an individual or family to the Y and they join, both you and the incoming membership unit will receive a 20% discount on your dues, as long as both parties remain members of the Y. There is no limit to the number of units you can refer. When taking advantage of this discount, your monthly dues are still cheaper than after the 5% increase in fees effective 1/1/2019. We encourage all members to refer others to the facility. 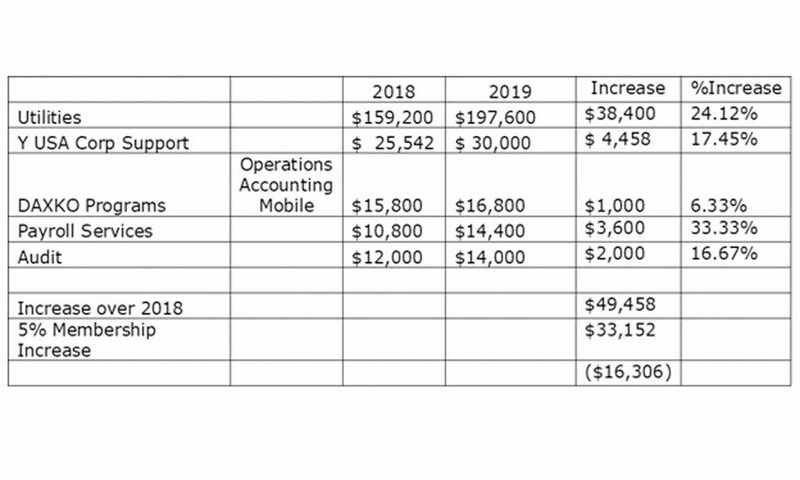 It has been 3 years since we have implemented any dues increases and within that timeframe costs to operate the facility have continually gone up. The Board always has the best interest of the organization, the facility, and its members in mind when making decisions. It was not easy making this decision, but we felt it necessary at this time. 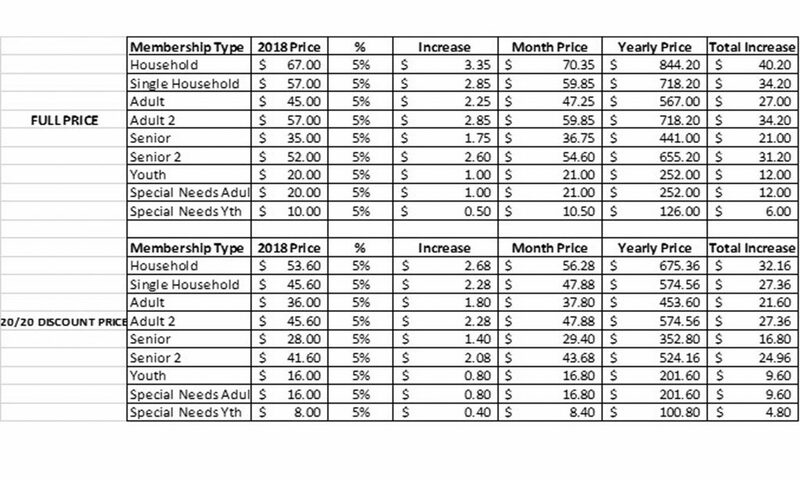 The chart below displays the rationale behind the 5% membership dues increase. As you can see, even with a 5% increase and despite our best efforts, occupancy falls short by $16,306: We understand that this increase may be a concern, and thanks to generous gifts from our Annual Campaign, financial assistance is available to ensure that everyone can belong to the Y. Please contact Jen Cogley, RGS YMCA Membership Director for more information or visit our website at www.rgsymca.org to learn more information. We take a lot of pride in what we have accomplished over the last 2 years here at the RGS YMCA Campus. We hope you do as well. Together we can continue to strengthen the community and provide generations of families with healthy initiatives that promote strong mind, body, and spirit. Should you have any questions at all regarding this announcement, please contact myself or any other Board Member and we would be more than happy to meet with you to discuss further. Please use the link below to email us. Thank you so much again for your continued support. Have a blessed day!